People often go shopping not knowing exactly what they want. They browse the racks and shelves at their favorite stores and buy the first article of clothing that strikes them. They may go home and realize that they have an item nearly like the one they have bought. They may find that the item they have bought does not go with anything in their closet. If they had consulted their organized closet first, they would have known. The first step to making a shopping trip productive is organizing your closet. You will not have to do this frequently as long as you come up with a good arrangement. As you are organizing, put all like items together. Black pants go with black pants, and formal dresses go with formal dresses. Be sure that you can see all your clothes and accessories easily. 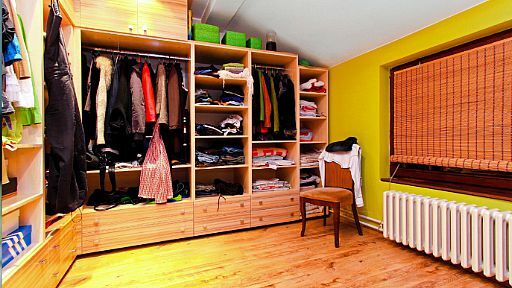 Next, go through the organized closet and take out any items that are worn out. A frayed shirt or a pair of jeans with a hole in an embarrassing place could be taken out and put on your bed or a chair. Since your closet is now arranged neatly, it should be easy to weed these sad garments out from the good ones. Now, look through the closet for clothing that has gone completely out of style. If it has been a long time since you have done this, you may have many clothing items to add to the stack. Anything that you would not want to be seen in goes. You can give them to charitable organizations, where they can be sold or used for their fabric. When you have your pile of clothing that you will not ever wear again, start making a list. For every item, put down what the item is and with what you want to replace it. For your ripped jeans, you can put on your list the type of jeans you want to buy. If it is a dress that is too dated, jot down the kind of dress you would rather have. At this point, you can go back to your closet and take another look. You may have one bar that has many items that are almost identical. You may have a dozen white shirts and no colorful ones. You could write this on your list as something you need to invest in. You may realize that you have no clothing that would be appropriate for a formal affair. This could go on your list, too. Organize your list so that the things you need to get the soonest are on the top. You may be able to do your shopping all at once, but if you have a long list and limited time or funds to devote to it, you may have to make several trips. When you shop according to your list, you will refill your closet with items that you needed all along. It is only because your closet was disorganized that you didn't know you needed them. Organizing your closet makes shopping productive and satisfying.